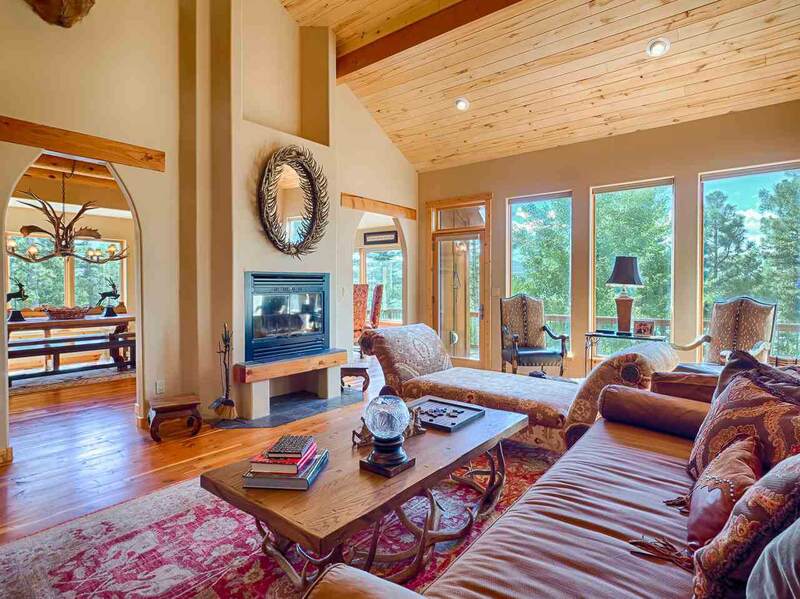 Step inside this beautiful home tucked high above Angel Fire in the very sought after Vail Loop / Overlook neighborhood. A large family retreat with two living rooms, two dining areas and 4 bedrooms that are ready to be enjoyed by your family. 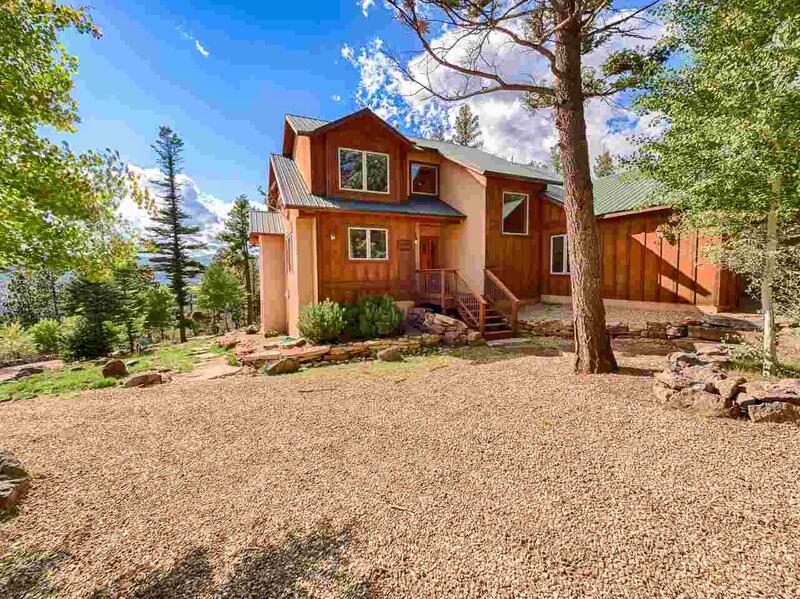 Play in the 1.7 acre lot that has been well maintained for beauty and fire mitigation. 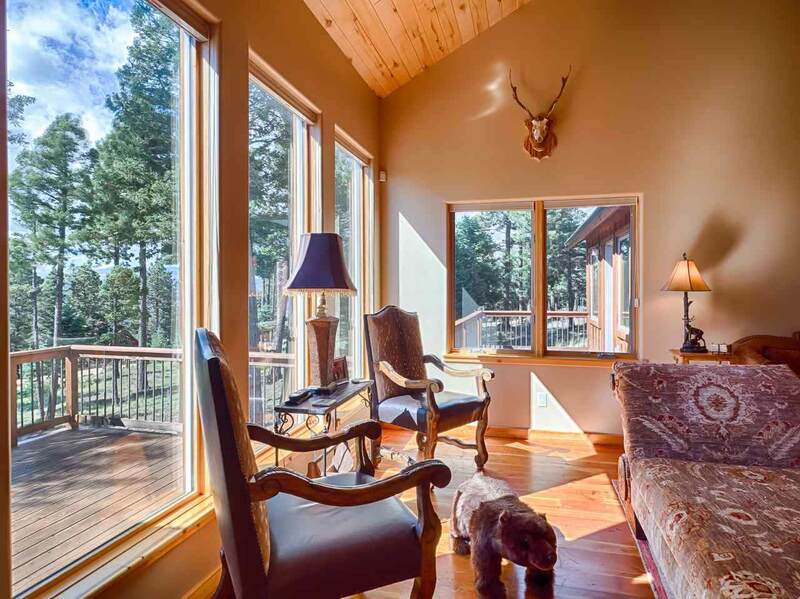 Inside, youll find a splendid great room with large windows, soaring tongue and groove ceilings, a wood burning fireplace and hardwood floors. The home features great southwestern touches including arched doorways with exposed wood headers, wood beams and rustic furniture. The kitchen is spacious with stainless steel appliances, a large island with cooktop, tile flooring and a built-in bench seating with great mountain views. The master bedroom is on the main floor with a walk-in closet, private deck and an ensuite bath with a jetted tub. Upstairs features a loft, full bath and two guest bedrooms. The downstairs contains a large game / family room, an exercise room, full bath, large storage area with wine cellar, a mudroom with built in cubbies and the fourth guest bedroom. This home is well appointed, comes fully furnished and has been well maintained. 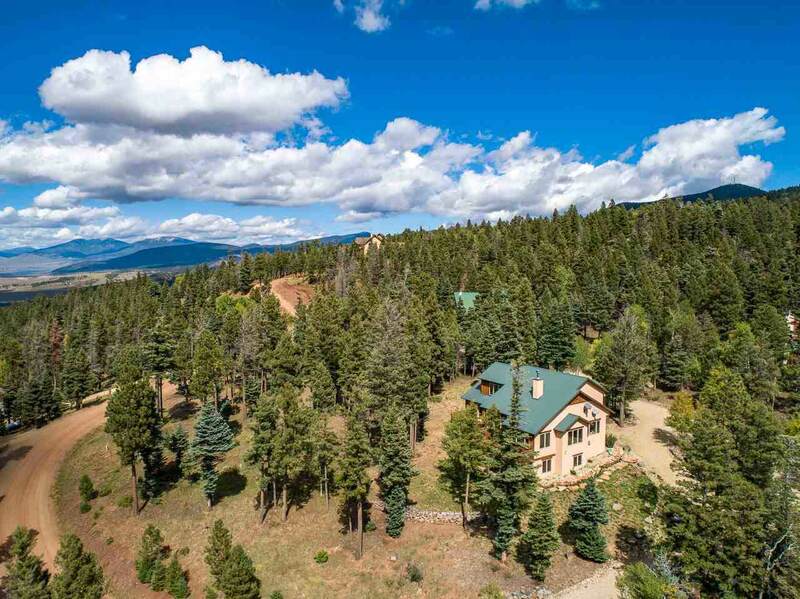 Come live above Angel Fire on Vail Loop, where the neighbors are friendly, the air is clean, the stars are breathtaking and the views are expansive. Call us today for your personal tour.